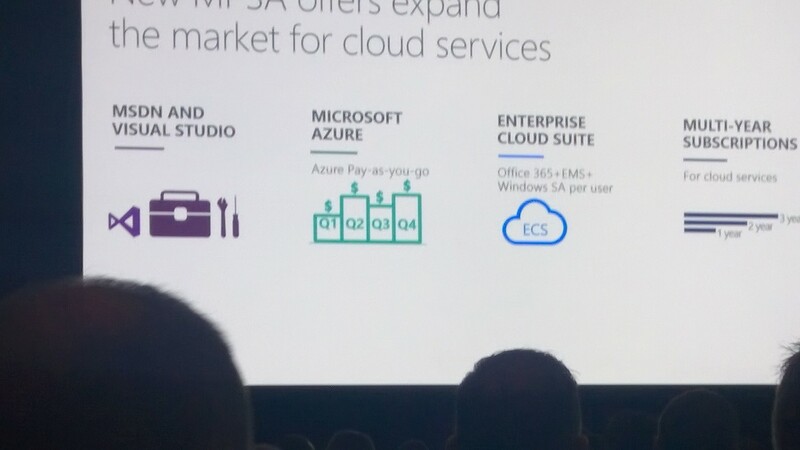 Customers can now buy Azure consumption services through the MPSA paying for what they use quarterly in arrears, rather than making an upfront monetary commitment as EA customers do. Later in the year, on 1st September, customers will also be able to buy the Enterprise Cloud Suite (currently only available through the EA) and to purchase certain Online Services subscriptions in one, two or three year durations – all with price protection. Get the background in this Microsoft blog post: http://bit.ly/1V2eThL. Government SKUs are available for the Enterprise Cloud Suite and Project/Visio for Office 365 in the May 2015 Product List. ECS is also available within the US Government Community Cloud program and the Product List is updated to show more clearly which services are available under this program – look out for a “UC” cell identifier. If you want to know more about the GCC program and Office 365 features that are specific to this program, then this is a good resource: http://bit.ly/1JB3RsF.